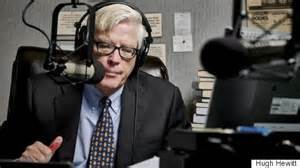 Hat Tip: Hugh Hewitt host of the Hugh Hewitt radio show and Duane Patterson, the producer of the Hugh Hewitt radio show who have informatively explained the real meaning of the [Harry] 'Reid rule'. In 2013, frustrated by the ability of getting all of Barack Obama's nominations [cabinet/judicial] through at the speed they wanted, the then Senate Majority Leader Harry Reid, went to the nuclear option to make sure that all presidential nominations below the Supreme Court level only needed a simple majority [instead of 60] to win nomination. Thus was born "The Reid Rule". There is much misconception of what the Reid rule actually is. I, along with most pundits, thought the Reid rule was just the rule that changed the filibuster option on presidential nominations that did not include the Supreme Court nominations. 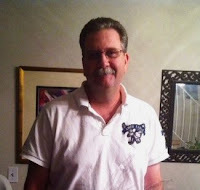 But listening to constitutional law expert/teacher and radio host Hugh Hewitt on his radio show and his radio producer, Duane Patterson in his after-show at the Hughniverse, I have found that is not what the 'Reid rule' is at all. The 'Reid rule' was when Senate Majority Leader Harry Reid changed the need for 67 votes, a super majority, to needing only a simple majority, to change the rules of the senate. He then used that rule to have a vote on changing the filibuster rule [of needing 60 votes for cloture] regarding presidential nominees below the Supreme Court-a vote that then needed only 51 votes. So to put it simply the 'Reid rule' means it now only takes 51 votes to change the rules of the U.S. Senate. So, Harry Reid has established a precedent that now the Republicans [now in the majority] can invoke, if they wish to change the rules of the Senate [with a vote needing only a simple majority] regarding filibusters of Supreme Court nominees. Harry Reid thought he was not in jeopardy of ruing the day about establishing only needing a majority vote to change the rules of the Senate, as he had no idea that the GOP would have a tidal wave landslide victory in the 2014 midterms and take over the Senate [that they still control] with Mitch McConnell becoming the Senate Majority Leader. One must think the Democrats must be fuming about Harry Reid establishing his 'Reid Rule' and thus becoming powerless to stop the Republicans in any way regarding presidential nominations going forward. Harry Reid, I submit, may have made the biggest blunder, harming his own party, in United States Senate history. Update: I heard another misconception today by one of the pundits that if the Republicans do decide to use the Reid rule to change the rules of the Senate on this nomination of Judge Neil Gorsuch, then if another nomination comes up they will need to change the rules again if they need to for that nomination. That is not true. Once the rule is changed, then that becomes the official senate rule going forward, unless a new senate decides to change this new rule.